The biggest weekend of the year just got bigger on the DCI Fan Network! Drum Corps International kicks the World Championships into high gear with several exciting offerings from the DCI Fan Network this Friday and Saturday! Coverage of the Open and World Class Semifinals goes all day long, bringing you the complete performances of all 33 competing groups. Webcast watchers of the evening World Class event will also see the very special performance of the Star of Indiana Alumni Corps, returning to the field for a one-night performance after more than 17 years. Register today on the DCI Fan Network. While there's nothing like feeling the anticipation and excitement of the end of the World Championship Finals live from a seat in the stands, we're bringing you the next best thing, a live webcast of the World Class Finals Finale direct from Lucas Oil Stadium. At approximately 10:15 p.m. ET on Saturday night, the DCI.org homepage will run the exclusive video feed. It's totally free! No need to subscribe, no need to login, just pull up DCI.org and it'll be there! We'll count down the minutes to the start of the finale at approximately 10:30 p.m. when broadcasters Steve Rondianro and Dennis DeLucia will take over and provide the commentary leading up to the announcement of the scores. It'll all end with the combined brass of the top 12 corps playing "Battle Hymn" to cap off the evening. Soon after the 2010 World Champion has been crowned at Lucas Oil Stadium Saturday night, Premium Subscribers (HD/SD) of the DCI Fan Network will have the chance to log on and watch it all again! You'll have access to the final performances of all 23 World Class corps including the Top 12 from the Finals, the five corps who will end their season after the Semifinals and the six who were finished after the Quarterfinals. Not yet a subscriber? Be sure to take full advantage of your subscription benefits to catch the final Semifnals webcasts of the season on Friday in addition to all of the on-demand performances from the summer of 2010. 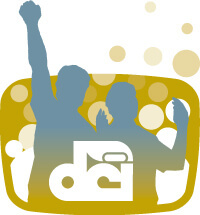 Subscribe to the DCI Fan Network.